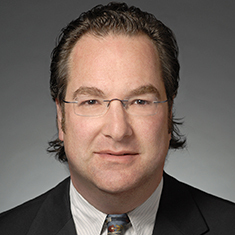 Seth R. Madorsky focuses his practice in commercial real estate, with a particular emphasis on counseling real estate investors, real estate investment funds and sponsors on capital investment and the formation of joint ventures to develop, own and operate commercial real estate. Seth also represents developers and operators across all asset classes and has extensive experience in site selection, acquisition, sales and leasing and in counseling operators on their commercial real estate and facilities. Shown below is a selection of Seth’s engagements. Representation of the owners of The Parking Spot, the nation’s largest off-site airport parking company, which operates approximately 40 parking facilities adjacent to airports throughout the country, in the sale of the company through an auction-sale process. Representation of Penny Pritzker in the formation of Artemis Real Estate Partners, LLC, a real estate investment fund sponsor that recently closed its second fund with more than $400 million in committed capital. Representation of a joint venture of senior living community investors and operators in connection with the disposition of a portfolio of licensed and regulated senior living communities across several states. The transaction was profiled as the Wall Street Journal's Deal of the Week. Representation of a real estate development company in the formation of a $400 million joint venture with a state pension fund pursuant to which the client contributed to the joint venture the client’s controlling interests in property level joint ventures with several strategic local operating partners that are developing multifamily assets throughout the country.